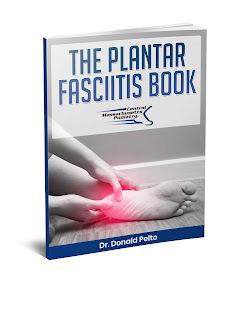 Dr. Pelto's Blog: I had a cortisone shot for my heel pain, how long does it last? I had a cortisone shot for my heel pain, how long does it last? Injections work well for heel pain. When I place them in the foot I usually go in from the inside of the heel region. 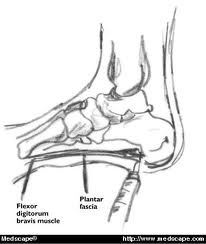 I aim right at the location where the plantar fascia inserts. Other times I inject directly into the heel region where there can be a bone spur or small fluid sack (bursa) located there. But how does the injection work and his long does it last. Lidocaine - this is a short lasting anesthesia. It will make your foot numb for about an hour and then wear off. Marcaine - this is a longer acting anesthetic. It will last for four hours or longer and then wear off. Dexamethasone - this is a short acting steroid. It works within a few hours or a few days and lasts up to a few weeks. It is used to decrease the inflammation in the area where it is injected. I explain it as taking Motrin an injecting it directly into your foot. Long acting steroid - this medication takes over when the shot acting one wears off. This can last for a few weeks to a few months but takes longer to begin working. When you get an injection the first two start to work and you shouldn't have any pain if the injection was placed in the right place. Then the numbing medicine will wear off and you may have pain for a few days until the steroid starts to work in 2-3 days. Normally by that time the steroids start to work and reduce the pain for a few weeks to a few months. If the reduced inflammation mixed with stretching, icing and orthotics many times your heel pain will not come back. Each person responds differently to steroid injections and that is why sometimes a second or third injection may be needed to resolve the pain.